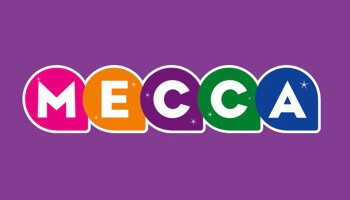 One of the best things about online bingo is the fantastic bingo bonuses on offer. Let’s be honest, everybody loves a freebie and if you look in the right places you’ll find the right free bingo bonus for you. Not sure exactly which bonus is for you? Have a look at our comprehensive list of all the different kinds that you could encounter. But first, let’s take a look at the most generous bingo sites. Play Now Visit website for full T&C's. More info: FS on each deposit! More info: Fluffy Faves free spins! More info: Keep what you win! This is the first bonus you’ll usually find splattered across a homepage on a bingo site. Not all sites offer this, but a no deposit bonus is basically a sum of money the bingo site will credit to your account just for signing up, allowing you to sort of test drive their site for free. 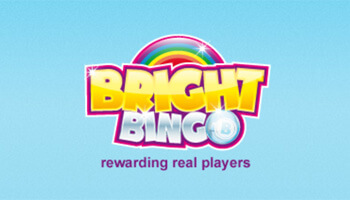 For instance, Bright Bingo offers all new players £5 absolutely free when they create an account and password. 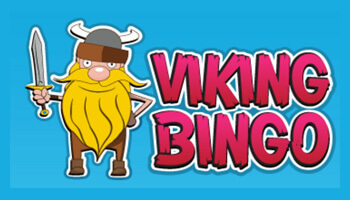 The sum you can expect to receive from these bingo sites with free sign up bonus is usually between £5 and £15. With new legislation beginning to take hold in the bingo world, we are beginning to see less and less no deposit bonuses. Can be spent on a number of games. You can still win real prizes. Wagering rules are often strict. Some bonuses can never be withdrawn. The most common type of bingo bonus is the first deposit bonus, which as it suggests, offers you a bonus amount on top of the first cash sum you deposit into your bingo account. These often vary from site to site, with offers ranging from 50% bonus to a gigantic 500% bonus. There’s usually a minimum amount you’ll need to deposit to qualify. This can sometimes be as low as £5, which is the case with Bingo Hollywood. Some sites also invite you to spin the wheel and grab some extra goodies. The key here is to read the wagering rules as 99% of first deposit bonuses will need to be wagered a set number of times before you can withdraw winnings. Can claim larger amounts of bonus cash. Allows you to play additional games. Some offers have low wagering rules. Wagering rules do apply for the majority of these offers. Fewer sites now offering a first deposit bonus. A reload bonus is basically the next step from your first deposit bonus as it gives you extra on another deposit. For instance Bingo Hollywood gives their players a 500% first deposit bonus, which they then follow up with a reload bonus every time they deposit. When their players deposit between £5 and £50 they get a 75% bonus and if they deposit anything above £51 they’ll get a 100% bonus. In a more general sense, reload bonuses are sometimes referred to as a second, third or fourth deposit bonus and you can find these on many more sites other than just Bingo Hollywood. Yet again, there can be pretty stringent wagering rules so make sure you understand these before committing further funds. Allows you to get more value from a second or third deposit. Some reload bonuses can be claimed every time you deposit! Can be spent on a wide variety of games. Wagering rules can still be fairly strict. Not every site will offer reload bonuses. Looking for the highest deposit bonuses? Look no further! New players on a site may find themselves with a newbie bonus to get them accustomed to the site. This can consist of a set period of free bingo games, in which you can win real cash or bonus funds to add to your account. Be aware that any bonus funds carry wagering requirements, terms and expiration dates – all of which vary from site to site. These days, the newbie bonus can also offer players other incentives too such as free bingo rooms, free slot spins or even bingo tickets for specific games. Excellent way for new players to acquaint themselves with a site. Lots of different newbie bonuses available. You don’t need to deposit too much to claim in most cases. Some offers are better than others. Terms and conditions can be strict. 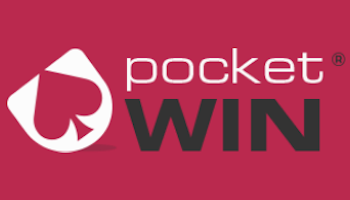 Want to invite your friends to play along with you and get rewarded for doing so? A refer a friend bonus is what you’re looking for! These bonuses will make their way into your account when your friend makes their first deposit and puts your alias in as their friend. If it’s credited as cash then no wagering requirements apply but there will be terms surrounding bonus funds or free spins. If you play bingo with friends already then you can both benefit by making the switch to a new site that offers this kind of bonus. Can benefit both you and a friend. Rewards can be pretty substantial. Can only use once on a lot of sites. Minimum deposit will be required by the recruited player. Of course, once all the welcome bonuses have been used up, there can often seem no incentive to keep using a site, but that’s where loyalty schemes come in. 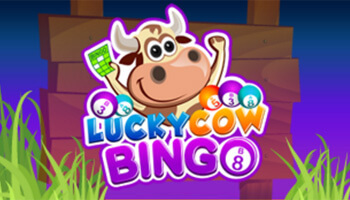 One site that offers this type of reward is Bright Bingo, where players can collect up their loyalty points for different levels of gifts from the site. There are 10 tiers to this program and when the top level is reached players will get weekly free spins, merchandise, a birthday bonus and much more. Every VIP scheme is different but remember it can take quite a while to rise up the ranks until it is worthwhile for the player. Excellent for players who are going to remain on a site for a while. Some of the higher bonuses can be claimed daily and weekly. The more you play the more you benefit. A substantial outlay is often required to make it worthwhile. Bonuses still have strict T&Cs. Some jackpot games double up your funds with a Buy One Get One Free bonus on top. Anytime you purchase a ticket for the game, you’ll get another free one added in for nothing. These can be for certain rooms or only for use at certain times but this will be in the terms at the time of purchase. BOGOF Bonuses are not too common these days but they are still available on some sites. Lots of different bonuses and games available. Often, BOGOF is just for a limited time or specified period. You cannot generally pick and choose from bingo tickets. If you like a flutter on a slot game then the chances are you’ve heard of this kind of bonus. These are different from the free spins you can earn from a game, as they’re usually added on to a deposit or as part of a promotion. They will have a fixed value and game that you can play on as well as an expiry date to adhere to. These days, free spins are more common than ever on bingo sites as bingo operators want to encourage players to try out slot machines as well. A massive number of sites offer free spins in addition to bonus cash. 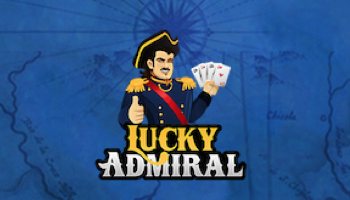 Free spins can be offered for a wide range of games. Some free spins have no wagering rules. Bonus policy applies for most sites. These promotions usually change from month to month, and can usually be themed around seasonal holidays like Easter or Christmas (though that’s not always the case). There are usually big prizes to be won here, whether it be a £20k jackpot or £1k raffle, there’s something big for everyone. You will usually find non-monetary prizes here too, like state of the art gadgets, cars and even luxury holidays. Be sure to look for these at the start of every month or two to find the best options. Often offer massive prizes including gadgets or getaways. Sometimes a cash alternative is available. Only available for a strictly limited time. These are popular offers that thousands of players will compete for. You’ll find promotions that take place on just one site or ones that take place over the entire network of sites. The ones that take place over the network will often have bigger prizes, but with so many players taking part you’ll have a smaller chance of actually winning. When playing in an exclusive promotion, you will have a higher chance of winning but the prizes or promotion may not be quite as exciting. Networked promotions are also usually easy to predict too, as they generally change on a monthly basis. Exclusive promos can be a bit harder to track down when they change. If you’re looking to win big then you’ll want to look for guaranteed jackpot promos. These are special games, usually with a massive jackpot, that has to be won. To go along with these, you may also find special promos for BOGOF tickets or flash sales. The best part about these games is that someone has to win that grand prize. It’s not like a sliding jackpot, in which the jackpot goes down if it’s not won quickly enough. There is always a prize to play for. Games are usually busy due to a guaranteed prize. These are games in which everyone will win, regardless of their tickets. There’s a part of the jackpot that will be allocated for the winners and then a communal jackpot that will be split between the losers. That means that everyone gets a share of the prize pot! This can be credited as cash or a bonus. Remember that for each ticket sold, your share of the communal pot will be slightly less, as it’s a shared pot. These games can also sell out quickly too, as tickets will be limited to a set amount. Tickets can be cheap on occasion. Tickets can sell out quickly. Pattern bingo is a lot of fun and these promotions will set out a certain pattern that you have to get to win. For summer themed promotions, this could be a sun or cocktail. On some sites, this may include you collecting points for each pattern you make or just winning from a single game. This type of game is very fun and if you’ve not tried it then when it’s part of a promotion this is a good time to start. One of the most fun ways to play the game. Lots of variation in terms of gameplay and ticket price. Can be tricky to find these games. There is only one way to win! Cashback is pretty common these days and when you take part in these promos, a site will take into account how much you’ve lost in wagers in the time period. Then, they will give you a percentage of that back in bonus funds. With some promotions, the more you spend, the higher the percentage of cashback will be.  Be sure to read the fine print of these promotions, as the cashback may only be applied to certain games or during a certain time. Cashback offers are useful for regular players. Can sometimes claim up to 10% of cash back. Cashback often distributed as bonus funds. You need to make a lot of regular deposits to make it worthwhile. Progressive jackpot games are also hotly anticipated on a bingo site. These games are always popular because each ticket sold contributes to the amount the jackpot is worth. Be aware that you will usually only be able to play in these with a cash balance, so bonus funds won’t be accepted. They’ll usually be publicised well in advance, to give players time to get their tickets and boost the jackpot. You can play for the biggest prizes in the industry. These are some of the most exciting games to play. Can be quite difficult to win. Card prices can be pretty high. Sites are becoming more and more active on social media and this means you can find special offers here too. This could give you an incentive to like the site, like bonus funds or loyalty points. There are also competitions and other exclusive offers to watch out for on Facebook, Twitter and other platforms. With all of these different offers available, there’s a lot of fun to be had in the promotions section of your favourite bingo site! You don’t need to spend any money. You need to have active social media accounts to take part. Sometimes you need to be funded as well. Now that you are aware of all the different types of bingo bonuses that exist online, you can now begin to consider how to get the most out of them. 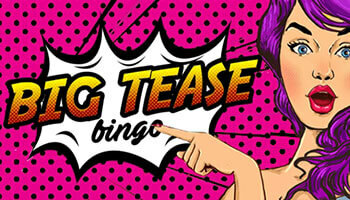 Timing is everything for offers such as free bingo tickets or newbie bingo rooms. These are offered for limited periods of time so if you’re offered 7 days of free bingo then make sure you have the time to play on most of these days. Wagering rules can cause great frustration for many players mainly because they do not truly understand how wagering works. Knowledge is power so totally understanding how these bonuses work will save time and effort in the long run. However, there are sites that you can exploit that offer little to no wagering rules at all. Taking the time to research and find minimum wagering bonuses can benefit you greatly. Another trick to keep you on your toes is to check out if your chosen bingo brand or casino operator is on Facebook or Twitter. A lot of sites are actively trying to up their social media followers and they will offer incentives in the form of bonuses and other rewards to encourage you to engage with their pages so be sure to check out these social media accounts as soon as you’ve signed up to a new site.